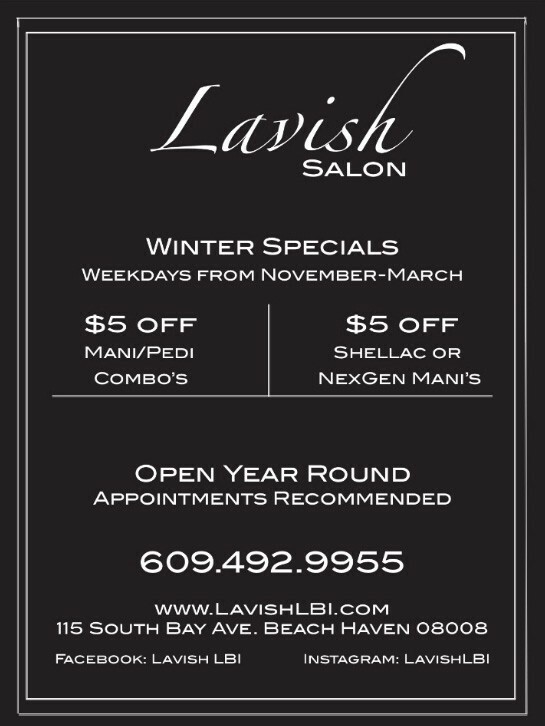 Lavish Salon’s latest news and events. Now Hiring: Hair Stylists, Nail Technicians, and Assistants. Seasonal/Year Round. Full/Part Time. 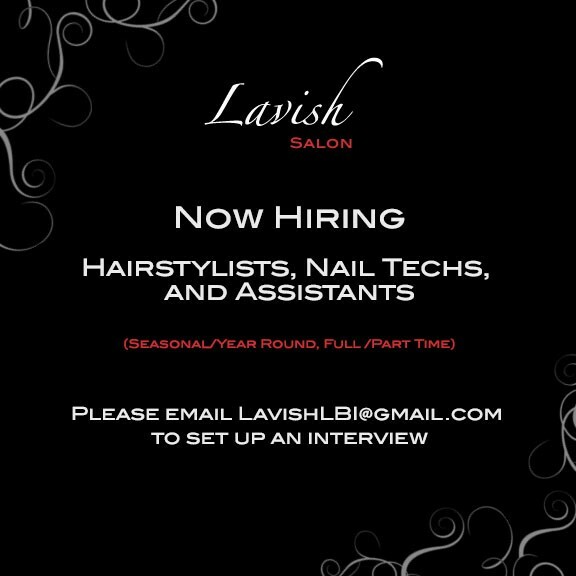 Please Email lavishlbi@gmail.com to set up an interview. 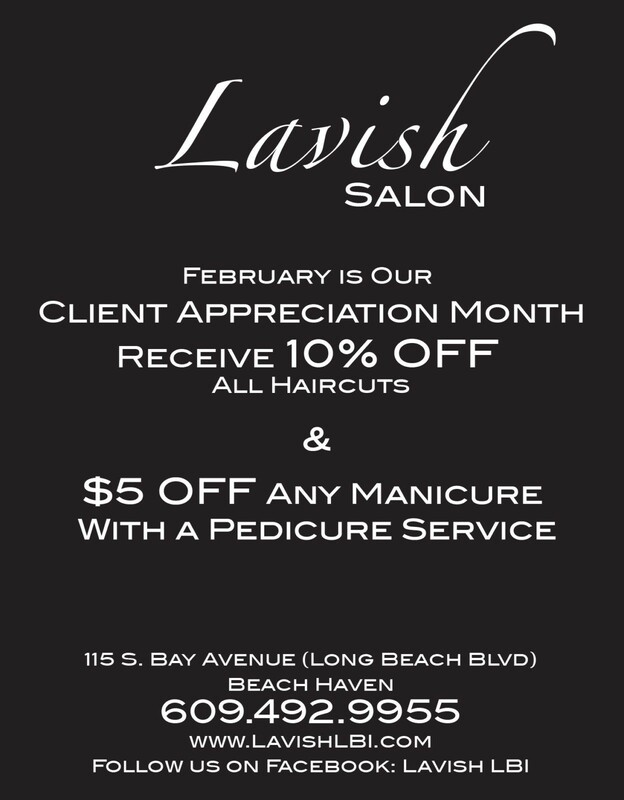 Receive 10% off all haircuts & $5 off any manicure with a pedicure service during the month of February.